We’ve been hit by the slime craze here lately and it doesn’t look like it’s going to stop anytime soon. 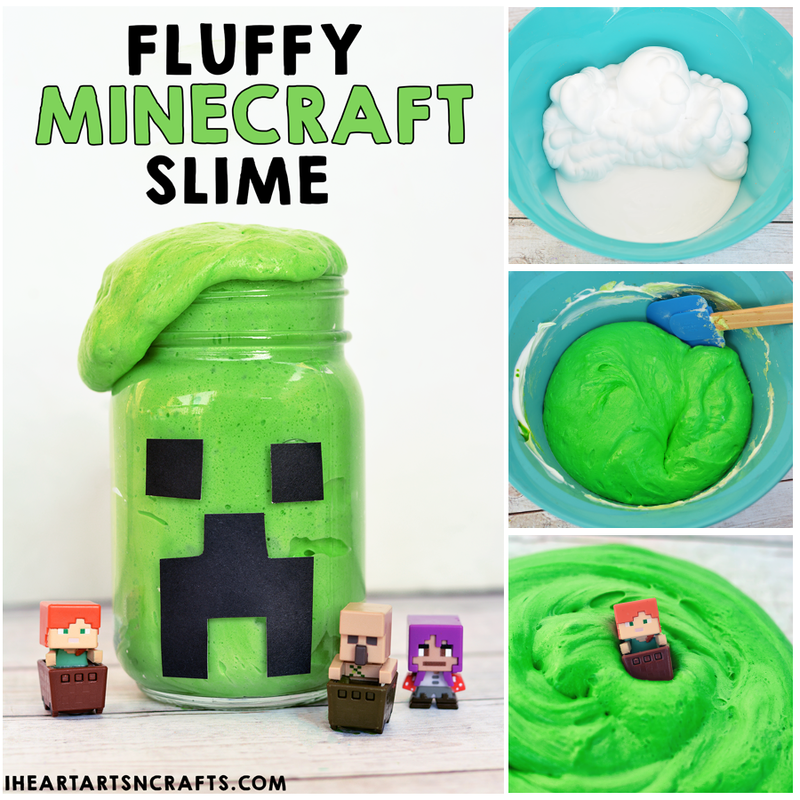 Today I’m sharing a slime recipe that was my son’s idea by combing his love of Minecraft and slime to create this Fluffy Minecraft Slime. For storage we kept our slime in some DIY creeper inspired mason jars that you can make by using some black construction paper. These would be perfect for any Minecraft theme party or to make just for fun! We even added in some mini Minecraft figurines for some pretend play. 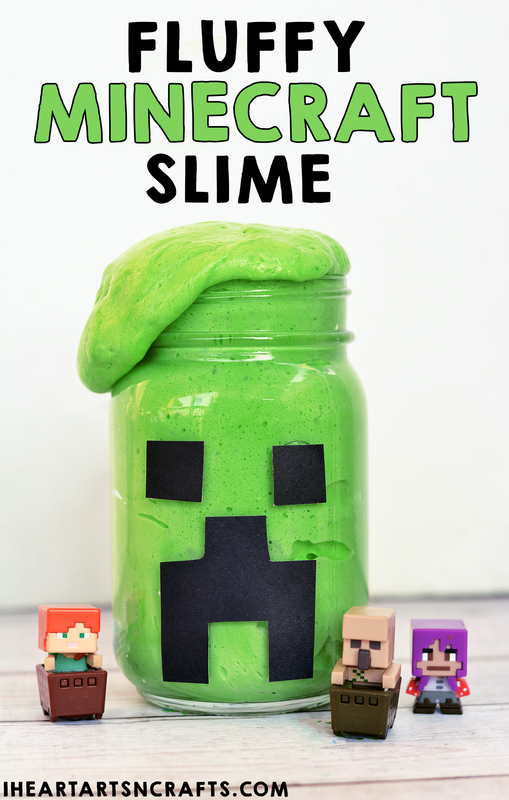 Follow the easy slime tutorial below to get started. 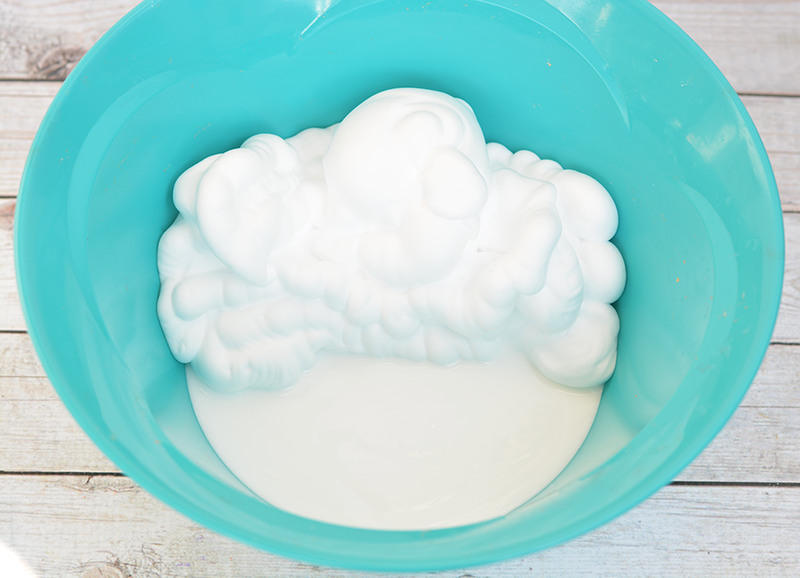 1.Add 1/2 cup of Elmer’s white school glue and 4 cups of shaving cream to a bowl. 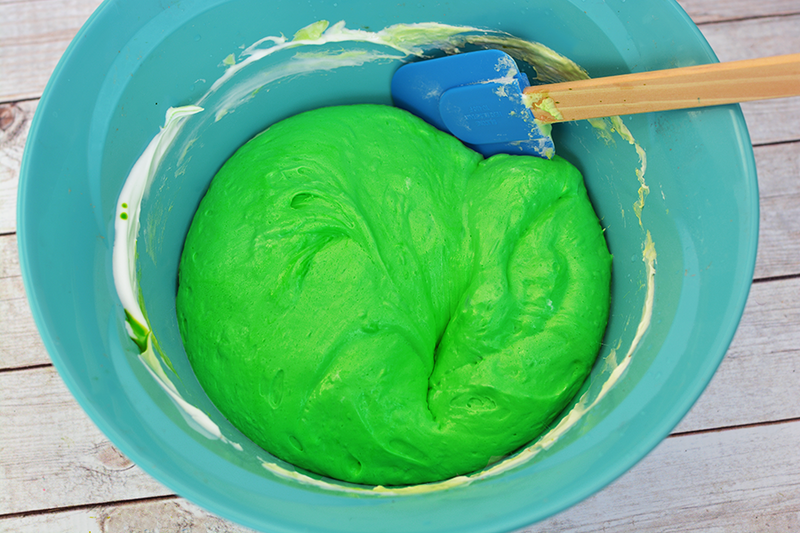 Mix well and then add in a some drops of your green food coloring. Stir to mix in the color. 2. Next stir in 1/4 tsp of baking soda and then add 1 tbsp of saline solution. Still well. 3. Mix thoroughly and knead the mixture. You’ll notice this is when it starts to turn into slime and becomes less sticky. 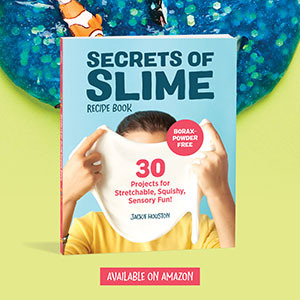 If your slime is still sticky add some more saline solution by starting small and adding a little as you go and continue to knead it. 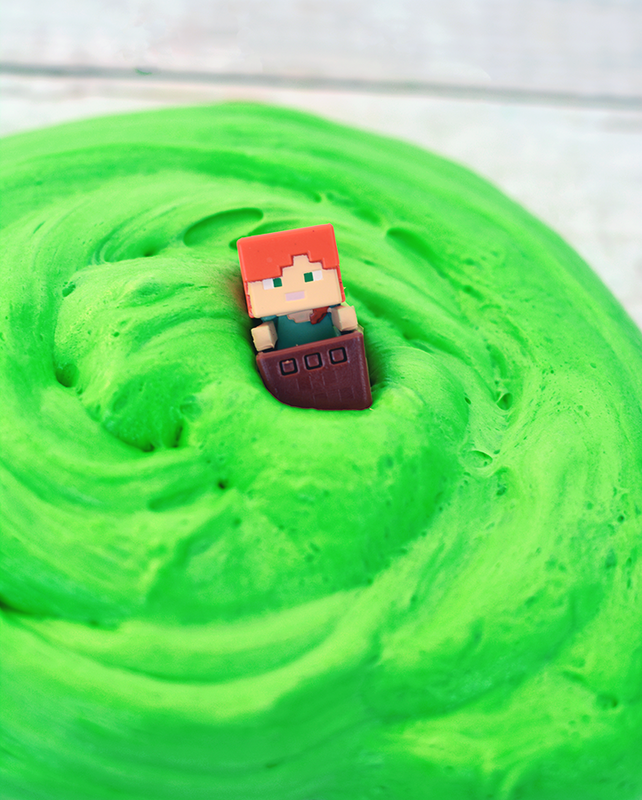 The slime will take on a fluffy marshmallowy consistency that is so addicting to play with! Store in an air tight container when you’re finished. We added ours to some mason jars and cut out the creeper faces out of black construction paper and glued that onto our jars to store our slime in.